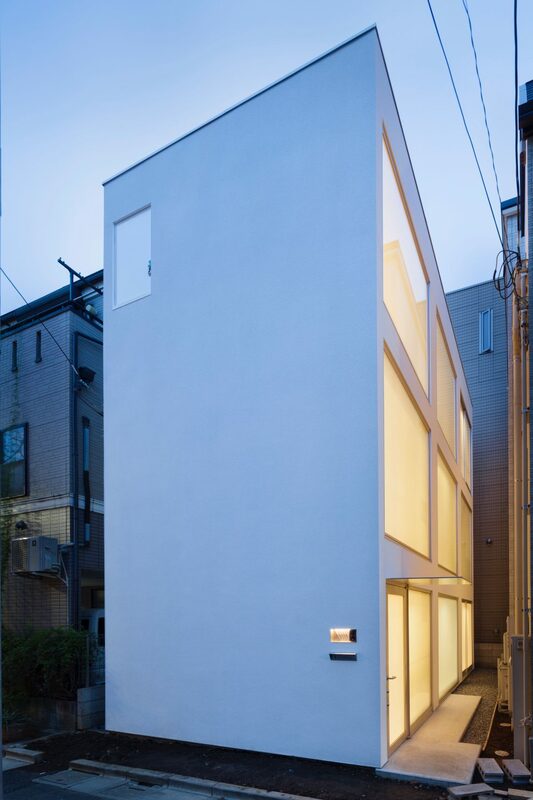 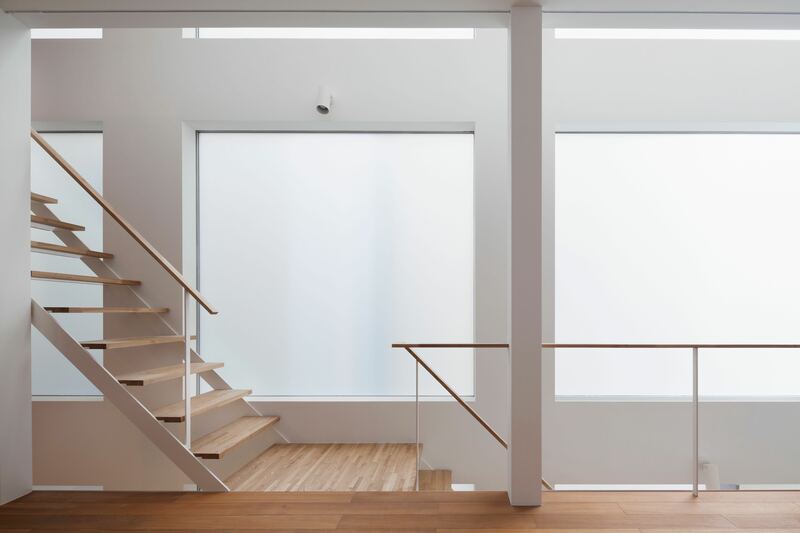 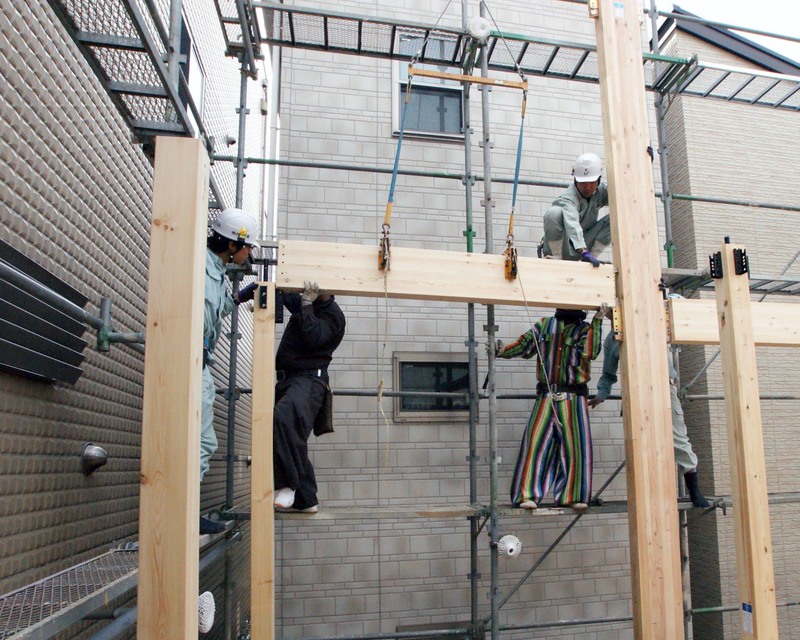 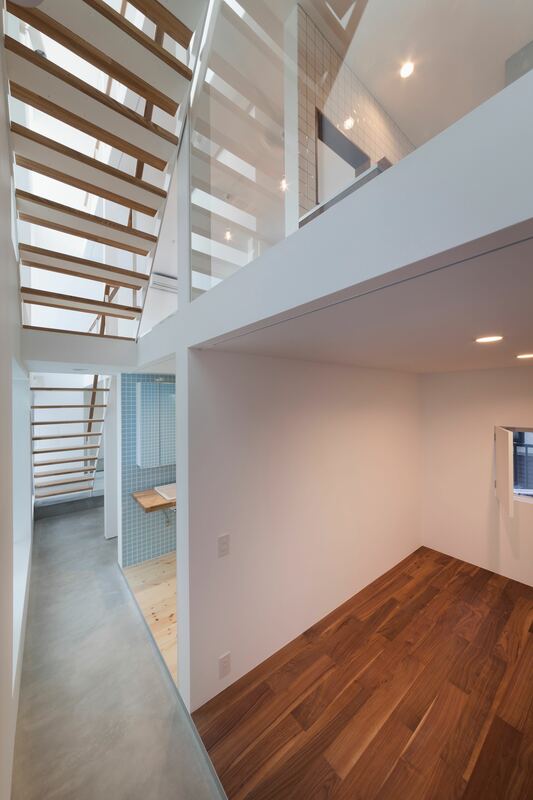 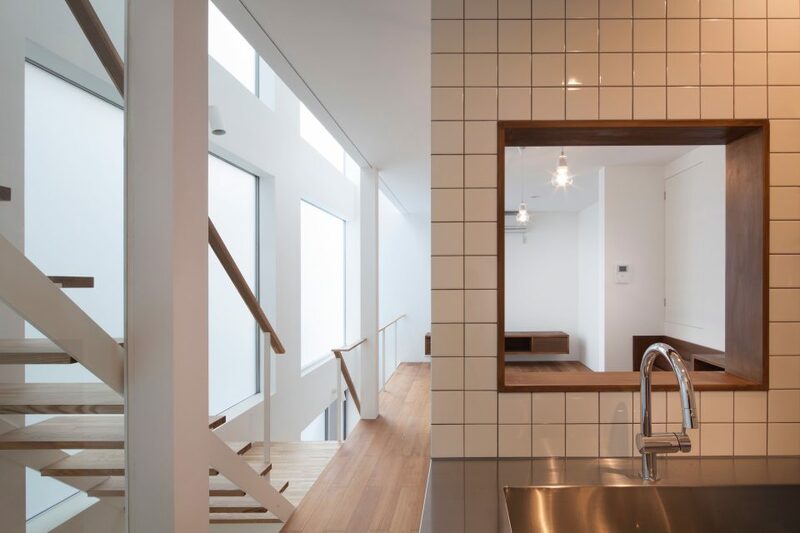 This “House in Gotokuji” in a quiet urban residential area was designed to be build on a small, narrow block surrounded on three sides by residential buildings. 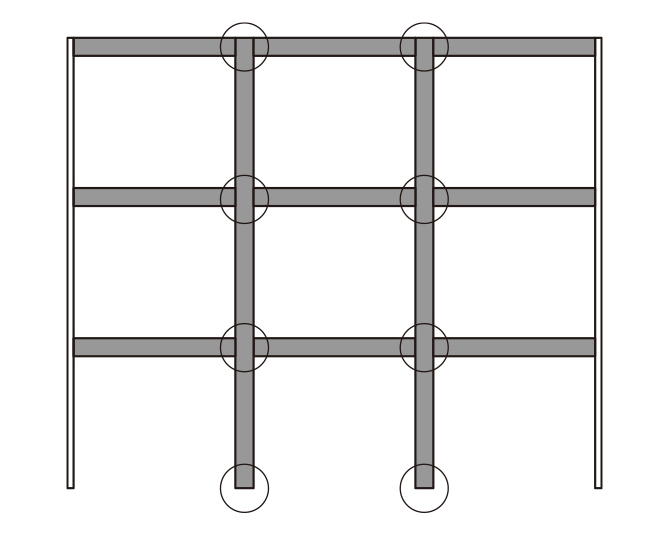 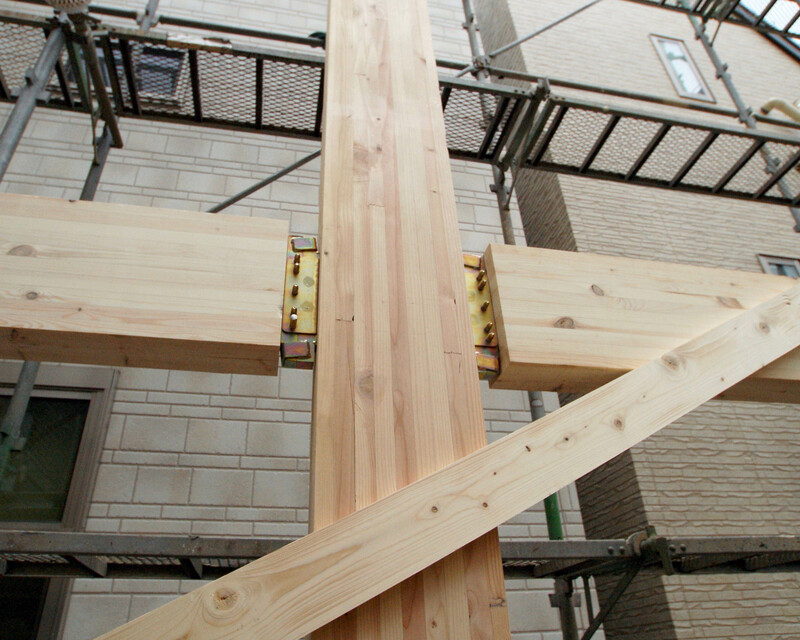 Three layers of three consecutive Rahmen frames installed using Node.Rigid connectors enable a full opening that allows for a bright internal space. 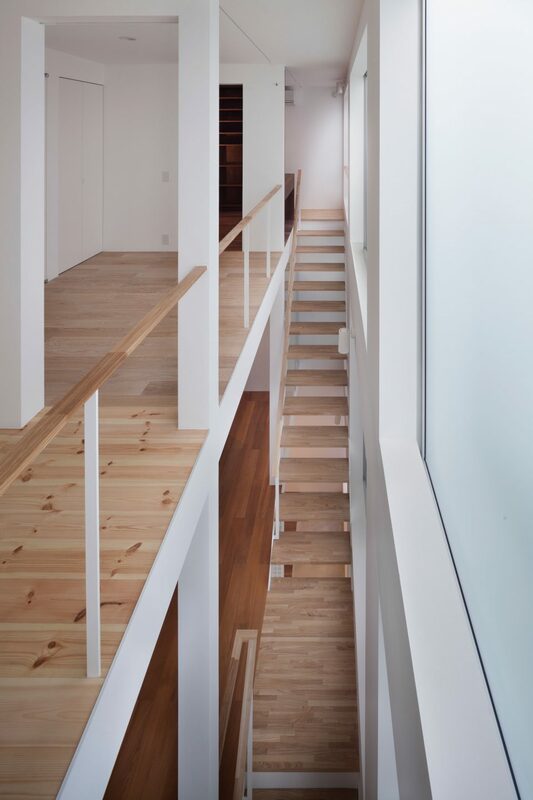 Inside the full opening, a continuous staircase runs through the three stories with a landing on each floor. 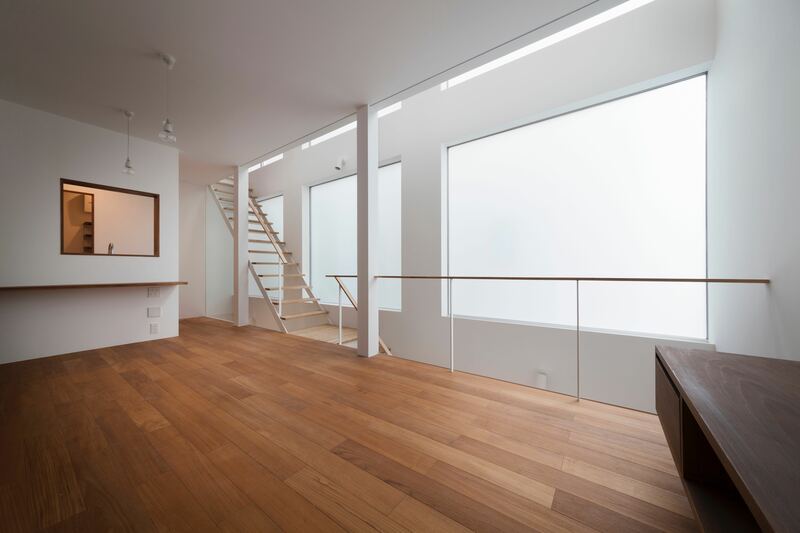 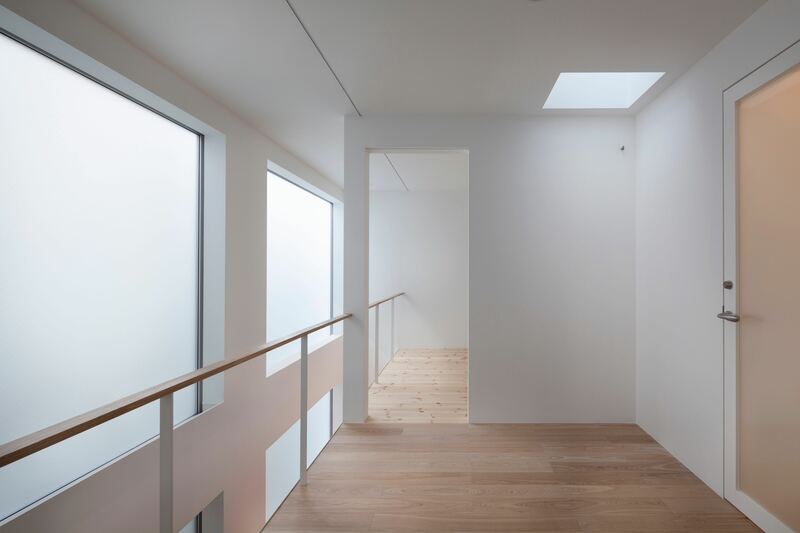 By making the landing floor boards function as strong horizontal structural surfaces, it allows the realization of a large void.